Heftromane – Pulp Fiction German Style | Sprechen Sie Deutsch? One of the most important aspects of learning German (or any other language) is total immersion. Whenever possible surround yourself with German texts, music, sounds, advertisement etc. Of course, having the appropriate literature at your disposial can be challenging when your German skills are not quite as evolved yet. You may want to upgrade from reading children’s stories but don’t have the skill set yet to approach Thomas Mann’s ZAUBERBERG. So what to read next? Well, one thing you could try is to start reading Heftromane. 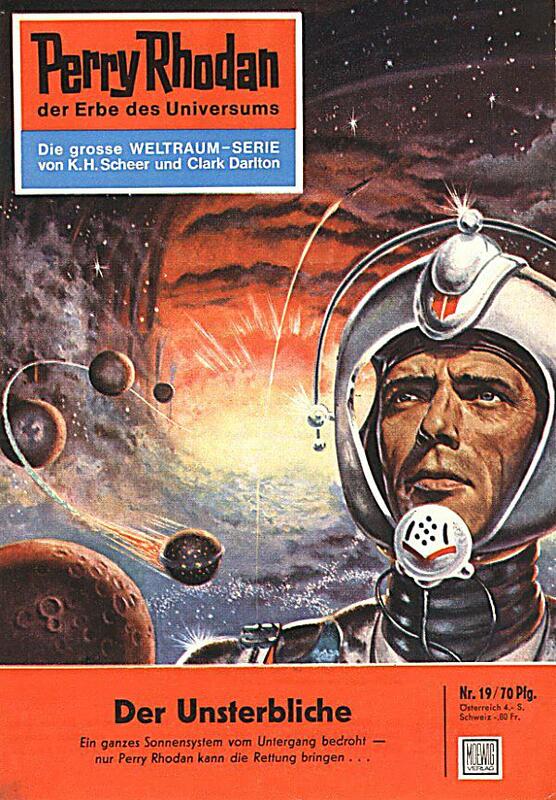 Heftroman loosely translates as “novel published as a small booklet” and denotes nothing else but the German equivalent of the “pulp novels”. These days they generally clock in at around 64 pages. They’re published weekly and are written in normal but not too demanding German which makes them good for intermediate learners. The downside: They are usually only on sale in German railway stations and newsstands and difficult to get outside of Germany. They come in a variety of different genres so there’s something for everyone Crime (Krimi), Horror, SciFi, Fantasy and “Arztromane” (romance novels set amongst doctors) for the ladies. Just don’t expect high literature. Prior to being known as a Heftroman they were also called Groschenroman (i.e. a “dime novel”). A Groschen in pre-Euro days meant 10 Pfennig and referred to the initial cost for the small books. These days the term is anachronistic (they cost more and the currency is no longer around), but it is still my favourite term for that genre though most everyone else now uses the term Heftroman. The modern form of the Groschenroman goes back to the 1950s and up to this day dozens of series are still around. These novelettes as a general rule are published weekly on cheap paper in A5 format that easily fits into even the smallest pockets. They are generally around 60+ pages long and can easily be read within a short space of just 1-2 hours. Given that they are not published in the more common paperback or hardcover formats, they cannot be found in general book stores, but instead need to be purchased in news agencies and are most widely available in train stations where the low costs, the special material as well as the short reading period makes them ideal reading material for an average train journey. They cover a range of genres. One of the most popular is a long running Sci Fi saga called Perry Rhodan that has story arcs that last 100 issues, so you do want to be around for the long run for this one. Most other series, however, have self contained stories in each issue. Jerry Cotton is a popular FBI action Krimi that has been around for about 3000 issues at this stage. 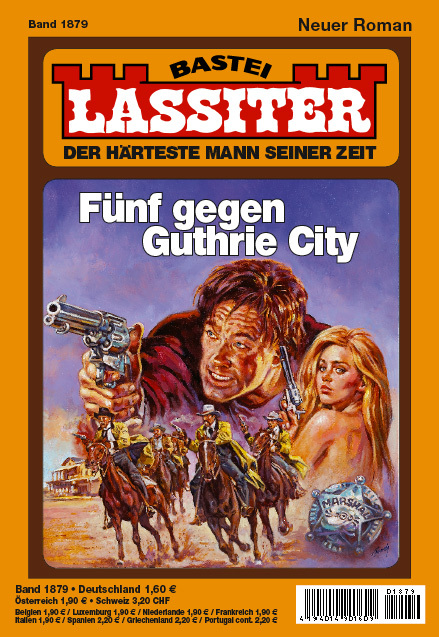 Other genres include Western (Lassiter), War (Der Landser) and Fantasy (Mythor). At some stage you were even able to find some Trucker novels (Trucker-King)! And in case you now think that reading those novels is primarily a guy thing: There are also a bunch of series around that are clearly addressed towards a female readership with romance as well as Doctor or Heimat novels. The latter being a typical German genre, saccharine sweet weepies set in alpine landscapes full of lederhosen and dirndl clad characters. Groschenromane are often written anonymously or from German language authors with an English pseudonym to give these series a more international appeal. The publishing houses generally insist on some very strong and detailed guide lines and writing codes. The authors are never anything less than prolific. Given these restrictions and the high output the overall result is less sophisticated than other literary genres and the language appeals to a wide range of audiences who just want to be entertained on a train journey or after a dreary day at the office. They are also at times quite endearingly Germanic in their inability to properly describe the English or American Way of Life. All of this makes them a great entry drug for the determined language learner who wants to dip his or her toes into some prose but who may not yet be ready to venture into more difficult material. Browse even further and you will discover a range of other complimentary downloads on their website, some Heftromane others regular novels. This entry was posted in Literature, Reading and tagged Heftroman, Jerry Cotton, Literature, Perry Rhodan, Reading, Vocabulary by holgerhaase. Bookmark the permalink.